Thanksgiving break is almost here! 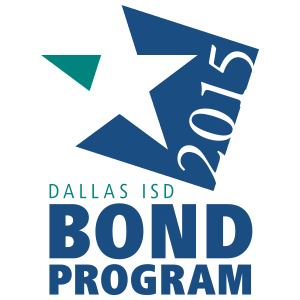 Reward yourself by catching up on this week’s great Dallas ISD news. Watch this video, or read below, and have a great break! Twelve Dallas ISD schools will offer free breakfast and lunch to all students 18 and under from Monday, Nov. 20, through Wednesday, Nov. 22 (see the schools). Thanksgiving break is a perfect time for seniors to apply to some available college scholarships(see available scholarships). A total of 359 students from 28 middle schools and 22 high schools participated in the Dallas ISD Secondary Chess Tournament (watch this). The Greater East Dallas Chamber of Commerce recognized Chris Evetts of Woodrow Wilson High School and Loretta Smith of Gaston Middle School as its Teachers of the Year (read this). The inaugural round of the Amazing Shake Competition saw 240 students showing off their firm hand shakes, eye contact, and back-and-forth communication skills (watch this). Dallas ISD’s United Way employee giving campaign has raised about $25,000 so far, which is a great start to a great cause (learn more)! Woodrow Wilson High School IB student Annabelle Furrh is hosting an art show to transform heartache into the fight against pancreatic cancer (learn more). Angel Sitiriche was a private lawyer and Army reservist in Puerto Rico when he was called to active duty after 9/11. Now he teaches fifth-grade language arts and social studies at John J. Pershing Elementary School, among other duties (read this). This former Justin F. Kimball High School mascot is now helping students with special needs here in Dallas ISD (read this).